New YouGov research has revealed that 22% of British businesses lack expertise when managing workplace absence. Managing staff absence can be a challenge for any company but particularly for those in the construction industry whose workers tend to be located across many different sites. 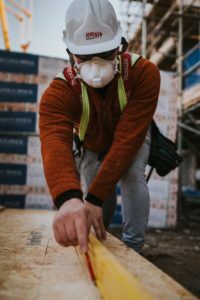 Research from Direct Line for Business revealed that employers in the construction industry are losing on average 1.4 million days of workers’ productivity each year due to sickness. One company that has transformed its absence management is leading Welsh construction firm, JEHU Group through the introduction of Activ Absence from Codel Software. 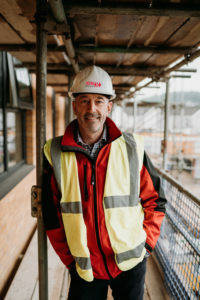 The JEHU Group is a construction company that operates across South Wales and South West England building in both residential and commercial sectors including schools, retirement homes and social housing projects. Originally set up in the 1930s, the company now has 170 employees and an annual turnover in excess of £50 million. The JEHU Group has grown quickly in recent years and the annual leave booking process originally put in place when the company had around 60 employees had become difficult to manage for the HR team as it required a great deal of administration. Employees’ annual leave was recorded on a Microsoft Access database and managed by email and telephone. The system was managed by one member of the HR team and took up 30% of her time. She received a constant stream of emails and calls from staff requesting leave and querying how much of their leave entitlement they had remaining. When holiday was requested, she emailed the appropriate manager for approval before recording the leave in the database and in the leave calendar via Outlook. Sickness absence was managed the same way with all reports of absence coming thorough one central person and absence recorded and reports on sickness all produced manually. The company needed a more efficient system, which would allow employees to manage their own holiday booking. They also wanted managers to be able to take more responsibility for managing their own team’s leave and absence, rather than it being an ‘HR only issue’. JEHU Group decided to invest in an absence management system and after researching the options available they implemented Activ Absence from Codel Software in January 2017. Gwilym Hughes, HR Strategic Business Manager, JEHU Group explains, “The main attractions of Activ Absence were that it is straightforward to use and, as it is cloud based, our people can access it wherever they are on their mobile phones, tablets or laptops. This is essential as due to the nature of our business our workforce is geographically dispersed and the majority are not based in the office. The business has benefitted in a number of different ways. It is now much easier for employees to book leave and check their leave status themselves without having to go through the HR department. The system has freed a lot of time in the HR team and managers are now taking more responsibility for managing their own team’s leave and absence. There is now an online return to work procedure when an employee has been off sick replacing the paper based system used previously. The system prompts managers to conduct a return to work interview after sickness before they can sign it off. Gwilym says, “We find the sickness absence reporting really useful and use them in monthly senior management team meetings. Being able to monitor and track patterns in sickness absence has enabled us to see what issues are affecting our staff and tailor our employee benefit offerings accordingly. The system has also provided the company with unexpected benefits such as allowing staff to record overtime they’ve worked to be taken in lieu. Previously, this was managed informally by the site manager but now the system has been formalised it enables the company to monitor how much activity goes on between business hours and means staff have a record of the time off they’re owed. The JEHU Group also uses the system as a resource planning tool which isn’t something they were initially looking for but now find indispensable. In the fortnightly Operations Team meeting, the Construction Director reviews the report showing which employees have booked holiday in the coming month so they can ensure they have adequate cover arranged. Ditching their old labour intensive system and implementing Activ Absence has enabled JEHU Group to streamline their absence management processes and procedures and face the future equipped for their continued growth.